Gaza still has an economy? I guess begging for aid can be called a job. 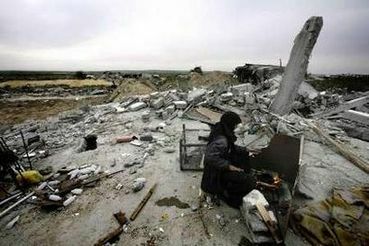 Israel has decimated this place and damaged its people almost beyond recovery. The international community should put in armed peacekeepers permanently, before any new infrastructure is built. What's the point of rebuilding without security too. The Zionists must be prevented from any military action outside its borders. Pledging aid isn't quite the same as actually handing the money over either. Noted , horrible place to live , wish I could do something about it !! !